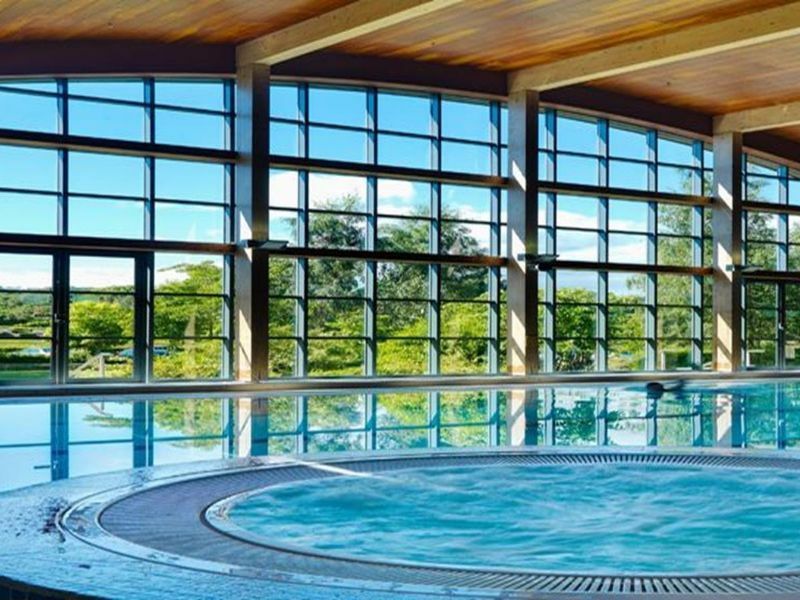 The Health Club at Druids Glen offers a personal approach to exercise with a welcoming and friendly environment. Our experienced and energetic team will provide you with a personal workout programme and are on site and available to motivate you to achieve your fitness goals. Our facilities include a fully equipped gym, an 18 metre heated swimming pool, jacuzzi, plunge pool, sauna and steam room. The gym is fully equipped with a range of up to date cardiovascular equipment and a combination of fixed weight machines, a free weight area and studio to ensure you have a full body workout. The Health Club offers health and fitness programmes, available for both members and non-members including Pilates, boot camp, aqua aerobics, box-fit. Personal programmes tailored to your aims and goals. One on one fitness assessment, health screening and ongoing support. A full range of classes: aqua aerobics, box-fit, spin and many more. We offer a wide range of membership categories. To discuss membership or for further enquiries please contact The Health Club at Druids Glen on +353 1 287 0821 or contact us with your enquiry. To book swimming lessons, Pilates or Rip60 classes online, click on the icon below.